What type of Maintenance Makes Sense for my Disintegrator? Knife mill disintegrators are an SEM specialty, the “go to” machine for high volume, high security destruction. They offer great throughput, small end particle size (commonly NSA approved size confetti), and can accept a wide variety of materials. Our customers love these machines all the more because of their amazing life span. We often find SEM disintegrators that have been in active use for 20-30 years. With such dramatic durability and reliability, it can be forgotten that disintegrators require periodic maintenance. While the plate steel of a disintegrator won’t show wear, many active components will. Over time, the cutting knives will get dull and chipped. The rubber drive belts will wear. The particle sizing screen can wear out or form over-sized holes. Safety limit switches can move out of position or wear out. Hoses and filters can reach end of life. And, bearings require grease to operate properly and not fail prematurely. (“Interior of an SEM Disintegrator” check out: https://www.semshred.com/disintegrators for a Video on how they operate). If these wear and tear issues are not addressed, the result can be reduced throughput, increased likelihood of jams, more noise and dust, off-sized end particles, reduced safety, and unexpected or premature failure of the system. A complete preventive maintenance service for a disintegrator addresses all of these concerns and more. Done at appropriate times, PM service is a wise and important part of disintegrator upkeep. Typically the frequency of PM service is tied to the condition of the knives, which are the most regular component that wears down. The rate of knife wear depends on the volume and type of materials fed to the machine. If a fairly large amount of metallic items go through a disintegrator, the knife wear will be more rapid than if the materials have little to no metal. However, even paper and plastics will cause knives to lose their edge and gapping over time. SEM rough guidelines are for PM service after roughly every 100-150 hours of running time, however this is only a rough guideline. A technician can provide good feedback on how worn knives are, allowing users to adjust to a sensible frequency of PM services. Most SEM disintegrator users who keep up with their PM will have in the range of 1 to 6 PM services per year, based on a range of light usage through heavy production usage. 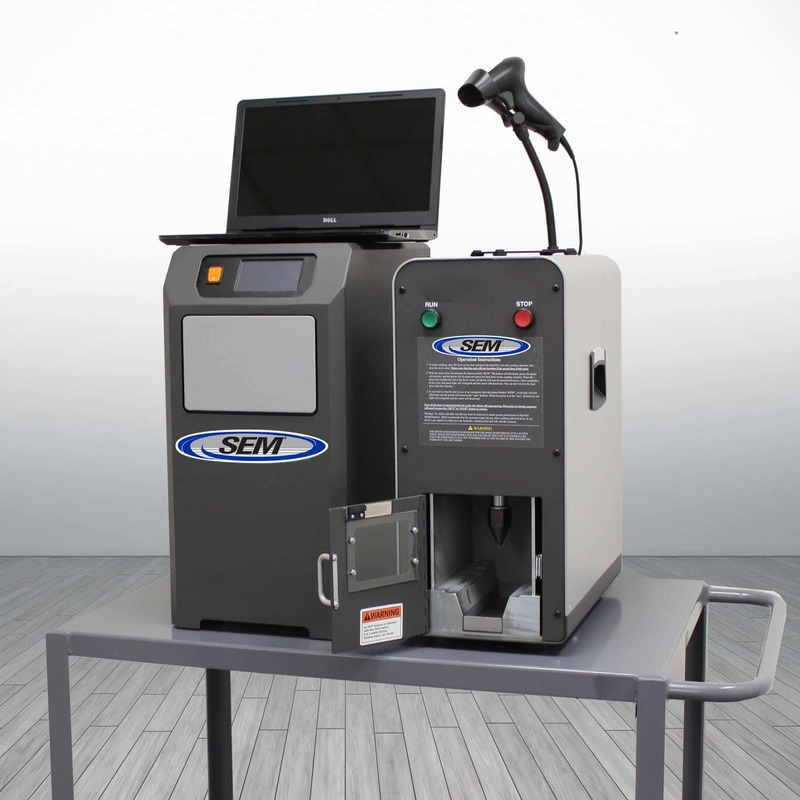 Some SEM disintegrator users do their own preventive maintenance services, sometimes using SEM for only off-site knife sharpening. Manuals and service training videos are available from SEM. Contact us or visit us at www.semshred.com and we can provide you with the information you need.